Tasty, convenient, and cheap, instant noodles are one of the most remarkable industrial foods ever. Consumed around the world by millions, they appeal to young and old, affluent and impoverished alike. 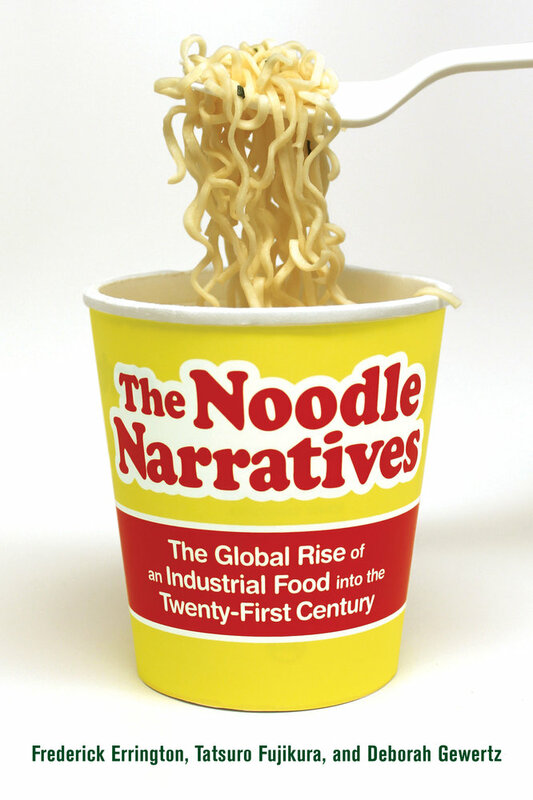 The authors examine the history, manufacturing, marketing, and consumption of instant noodles. By focusing on three specific markets, they reveal various ways in which these noodles enable diverse populations to manage their lives. The first market is in Japan, where instant noodles have facilitated a major transformation of post-war society, while undergoing a seemingly endless tweaking in flavors, toppings, and packaging in order to entice consumers. The second is in the United States, where instant noodles have become important to many groups including college students, their nostalgic parents, and prison inmates. The authors also take note of “heavy users,” a category of the chronically hard-pressed targeted by U.S. purveyors. The third is in Papua New Guinea, where instant noodles arrived only recently and are providing cheap food options to the urban poor, all the while transforming them into aspiring consumers. Finally, this study examines the global “Big Food” industry. As one of the food system’s singular achievements, the phenomenon of instant noodles provides insight into the pros and cons of global capitalist provisioning. Frederick Errington is Distinguished Professor of Anthropology at Trinity College, Hartford, Connecticut. Deborah Gewertz is G. Henry Whitcomb 1874 Professor of Anthropology at Amherst College. Tatsuro Fujikura is Professor at the Graduate School of Asian and African Area Studies at Kyoto University. Conclusion: Big Food for a Huge Population?